Richard Overton celebrates his 111th birthday on May 11, 2018. "I do believe we will hear from the government soon to find out who did it," said Richard Overton's cousin, Volma. 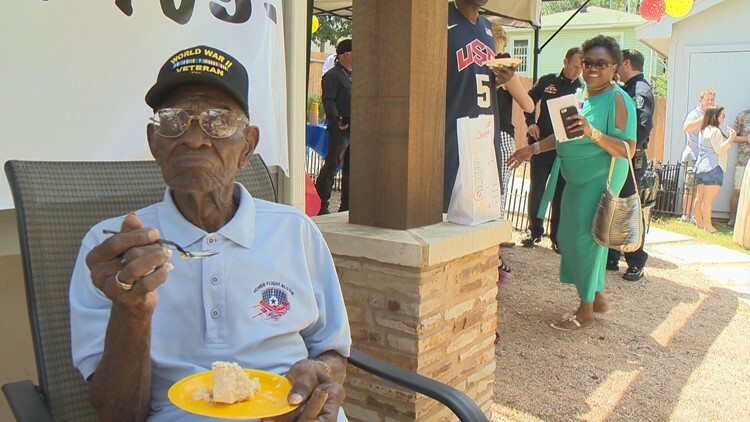 AUSTIN -- The world's oldest living WWII veteran has had his funds returned after his cousin said his bank account was compromised. Volma Overton, the cousin of 112-year-old Richard Overton, said Bank of America returned the funds and fully restored Richard's bank account. According to Volma, the bank and the Austin Police Department are both investigating. “I do believe we will hear from the government soon to find out who did it," said Volma. He said Bank of America notified him around 3:30 p.m. via phone that the funds were returned. Volma reported that he noticed on June 27 that there were four debits from Richard's bank account. Volma said he thought a company that buys savings bonds was behind it. He did not report how much was in the account, or how much was taken, but Volma said it was a very large amount.